Andy Hageman giving his presentation “Panda Planet: an Intro to Chinese Sci-Fi” at The Lingonberry. Humanity makes first contact with aliens and explores the depths of space in movies such as “Independence Day” or “Star Trek.” While these media works may be ‘quintessential sci-fi’ they are also very American in their approach to fantasy writing. 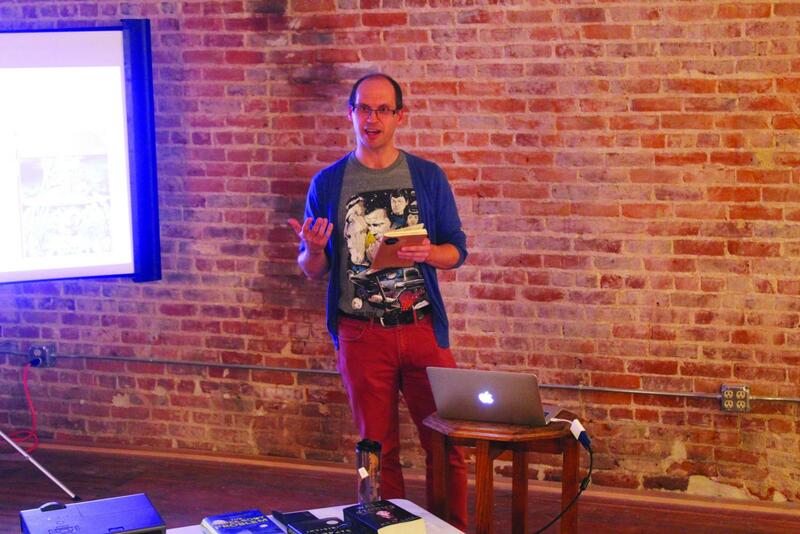 In his presentation “Panda Planet: an Intro to Chinese Sci-Fi,” Associate Professor of English Andy Hageman introduced attendees to the realm of Chinese science fiction and its literary themes. The event was on Nov. 14 at The Lingonberry. Hageman’s presentation analyzed the history of Chinese science fiction, prominent contemporary authors in the genre, and themes that are present within these works. Hageman explained that China’s ancient history, as well its recent history under socialism and the switch to a market economy, are themes presented in Chinese sci-fi. Hageman stated that the unique social climate results in themes based on economics and social systems rather than individual heroes who blast through aliens with ray guns, the latter appearing prominently in American science fiction. Additionally, these works are not necessarily a critique, but an exploration of what Chinese society is like today. Hageman also talked about Chinese science fiction writers such as Hao Jingfang and Cixin Liu. Both authors are recent winners of Hugo Awards, the annual awards for writers of science fiction and fantasy. Luther first-years will recognize Jingfang as the author of “Folding Beijing,” one of the Paideia 111 texts this year and the winner of the Hugo Award for Best Novelette in 2016. Author of “Three Body Problem” Cixin Liu was the winner of the Hugo Award for Best Novel in 2015. 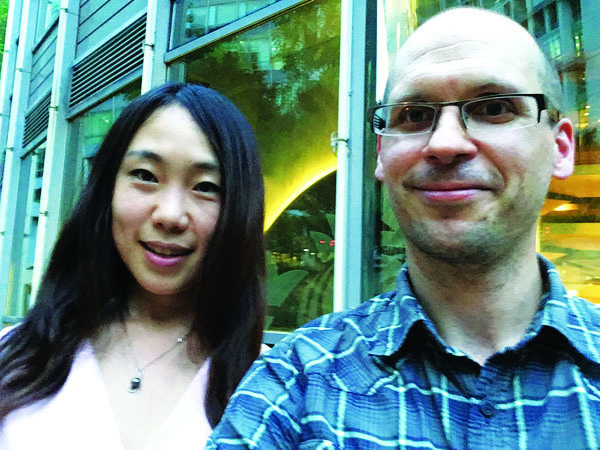 Andy Hageman takes a selife with author of Paideia 111 text, “Folding Beijing,” Hao Jingfang while in China. Hageman recommends “Three Body Problem” to students who enjoyed “Folding Beijing.” He also recommends that students read a bit about Chinese history, focusing on the Cultural Revolution, to better understand these pieces. Attendee Noah Manternach (‘20) was intrigued due to his love for science fiction. He also was entertained by other students’ thoughts on the genre. Manternach said that he particularly enjoyed learning about the unique themes present in the genre. The event was sponsored by the Decorah Public Library and was open to the public to. This presentation is a potential first step by the Director of the Decorah Public Library Kristin Torresdal to drawing Luther students to programs sponsored by the library. Hageman noted that this integration hopes to break down the barriers between Decorah residents and Luther students. Torresdal noted that this event’s fruition was due to conversation between her and Hageman. She said he approached her about having a program like this and she gladly accepted the idea. Torresdal was excited that Luther students attended the event and hopes that students can reach out in giving input as to what events they would like to attend in town. The library can be contacted through Torresdal’s email, [email protected] or through their Facebook page. Chinese are nindcontrilked brainwashed robotic non humans who lock up dissidents and Nobel lit winners . Andy! ?